The saga continues on Apr. 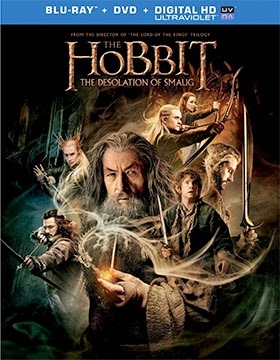 8 with the three-SKU launch from Warner Home Video of the New Line Cinema film production of director Peter Jackson’s The Hobbit: The Desolation of Smaug. The ARR is 116 days and ticket sales were a brisk $256.2 million (despite extremely bad weather in the eastern half of the country). 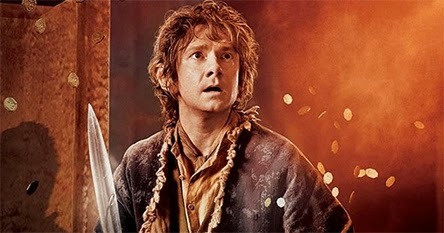 Fans were not disappointed with this second installment in the Hobbit film trilogy (look for The Hobbit: There and Back Again to be in theatres during the Christmas holiday season later this year) as filmmaker Peter Jackson has taken what seemed to be less-than-epic source material (the book was a little over 300 pages) and has spun it into a nice companion piece to his Lord of the Rings series. As for the home entertainment market, Warner Home Video has three-SKU launch planned. There will be two Blu-ray/DVD Combo Packs (one with a 3D viewing option) and a double-disc DVD SKU (all feature UltraViolet). In addition to the viewing options, the studio also as a limited edition planned, which features two “Gates of Erebor” replica bookends and the 3D/2D Blu-ray/DVD Combo Pack SKU. Also getting an Apr. 8 push on DVD and Blu-ray/DVD Combo Pack (both editions feature UltraViolet) is director Peter Segal’s sport’s comedy, Grudge Match, teaming “boxing legends” Sylvester Stallone (the Rocky film series) and Robert De Niro (Best Actor winner for his portrayal of Jake La Motta in Raging Bull) as former ring rivals Henry "Razor" Sharp and Billy "The Kid" McDonnen respectively. 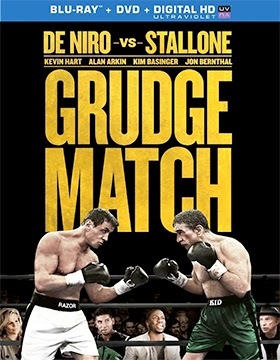 Grudge Match, which is a clever play on the screen personas of Stallone and De Niro, pulled in $29.7 million … the ARR is 102 days. Apr. 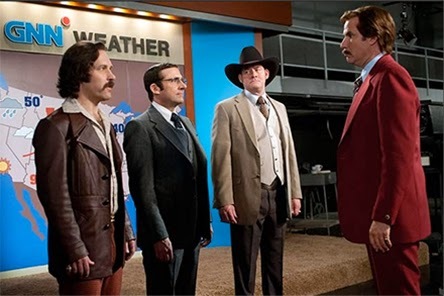 1, yes it is April Fools’ Day, but in the case of Paramount Home Media’s home entertainment release of Anchorman 2: The Legend Continues they are not joking or playing pranks when they say that there will be more jokes — 763 to be exact — than were seen in the original PG-13 rated theatrical release. The Blu-ray/DVD Combo Pack contains both viewing options — the original theatrical cut and a “super-size R-rated version.” There will also be a stand-alone DVD edition of the theatrical cut (PG-13 rated). 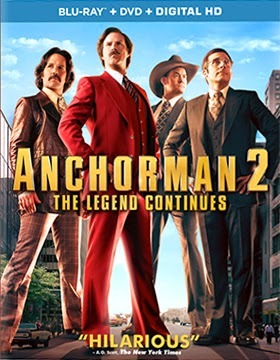 There are over 90 minutes of deleted and alternate takes, outtakes, 2 gag reels, audition tapes, five featurettes — “Newsroom,” “RV,” “News Fight,” “Baxter & Doby” and “Anchorman 2: The Musical” — and commentary on the unrated version featuring writer/director Adam McKay, actors Will Ferrell, Steve Carrell, Paul Rudd and David Koechner and producer Judd Apatow. All of these bonus goodies are exclusive to the Blu-ray/DVD Combo Pack. Kudos to Will Ferrell who promoted this comedy — in character as Ron Burgundy — for months on end in the lead up to the film’s launch. His work paid off handsomely with $124.8 million in domestic ticket sales — exceeding the results of the first film, which pulled in $90.6 million. Eagle Rock Entertainment announced this past week that a pair of double-feature Blu-ray product offerings featuring Joni Mitchell and Lou Reed will be ready at retail on Mar. 25. 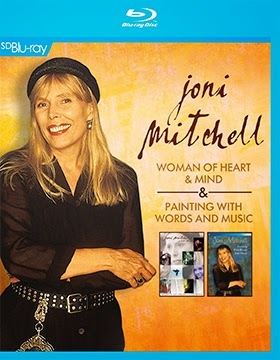 Rock and Roll Hall of Fame inductee and winner of numerous Grammys, Joni Mitchell will be showcased in the Blu-ray featuring her Painting with Words and Music concert (filmed live on the Warner Bros. Studio lot in 1998), which is teamed with documentary filmmaker Stephanie Bennett’s 2003 film profile, Joni Mitchell: A Woman of Heart and Mind. 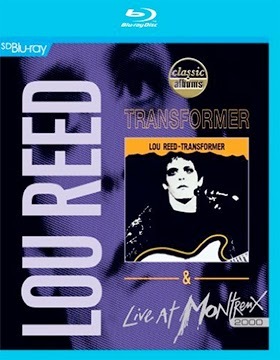 The Lou Reed collection teams Lou Reed: Live at Montreux 2000 with the track-by-track album review featuring Lou Reed with Ken Scott, Classic Albums: Transformer. With Kiev in flames and the world focused on the Olympics in Sochi, Vladimir Putin had to be on his best international behavior. Now that the games are in the rear view mirror and the cameras are off, you can safely say that “all bets are off” when it comes to the next round of oppression. If he can’t invade neighboring Ukraine, then he has scapegoats at the ready. You can count on it. Breaking Glass Pictures, working with Lucas Documentaries, has tabbed Apr. 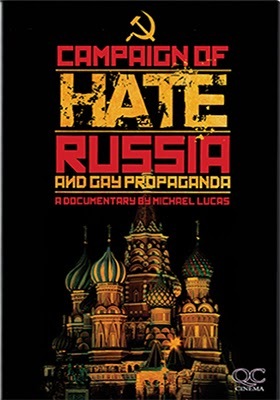 1 as the DVD debut date for Michael Lucas’ Campaign of Hate: Russia and Gay Propaganda, an insightful look at the sad state of affairs in Mother Russia these days when it comes to the LGBT community. With the window of the Olympics available, Russia ex-pat Lucas took the opportunity to interview activists, teachers, journalists and diplomats on what is happening … and the chilling prospects that may lie ahead. Oscilloscope Laboratories has tagged Apr. 29 as the DVD debut date for the KimStim release of writer/director Claire Denis’ Trouble Every Day. Released domestically back in 2001 as part of brief arthouse in-and-out theatrical run, Trouble Every Day arrives with an eye-popping ARR of 4,533 days. This is the first legitimate release of this ultra-strange horror, carnage and sexual-lust thriller … a Korean knockoff, a region 2 import and more have all made the rounds on amazon.com (which seems to have little regard for any piracy issues). Consumers looking for this film have had to deal with this debris of questionable quality … as of Apr. 29 that will no longer be issue. A series of related stories play out on the screen — with cuts back and forth — that definitely come together in the end with a not-unexpected gory climax. On the one hand we have an American couple, Shane (Vincent Gallo — Buffalo ’66, Stranded) and June (Tricia Vessey — Ghost Dog: The Way of the Samurai), who have arrived in Paris on their honeymoon. His reason for picking this particular venue to celebrate his marriage will become clear as the film unfolds. The other key element is this macabre dance of bloodlust is Coré (Béatrice Dalle — Betty Blue, Time of the Wolf, etc.) and her doctor/minder, Léo (Alex Descas), who finds himself constantly “cleaning” up after her. The connection between Léo and Coré and Shane and his new bride will all become crystal clear by film’s end!!! Universal Studios Home Entertainment will bring director Tim Story’s laugh riot, Ride Along, to the home entertainment market place on Apr. 15 as both a stand-alone DVD and as a Blu-ray/DVD Combo Pack (with UltraViolet). The ARR comes in at a quick-to-market 88 days and ticket sales — even with the relentless ice and snow storms that have plagued the eastern half of the country this winter — currently stand at an impressive $117.2 million. Bonus features for this Ice Cube and Kevin Hart comedy include a gag reel, commentary by director Tim Story and two featurettes. Exclusive to the Blu-ray/DVD Combo Pack are four additional featurettes, deleted scenes and an alternate ending. Also on the new theatrical released front from Universal is the Apr. 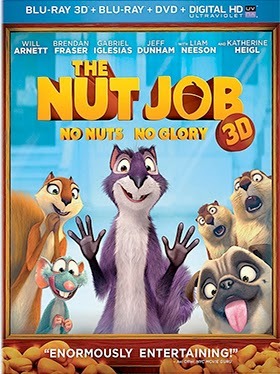 15 three-SKU roll out of writer/director Peter Lepeniotis’ animated hit, The Nut Job. The ARR is also at just 88 days … ticket sales currently stand at $58.3 million. Planned for release are two Blu-ray/DVD Combo Pack — one with and one without a 3D viewing option — and a stand-alone DVD edition. All three viewing options include UltraViolet.